In their own words: Originally from Sundsvall, but lives in Stockholm, Sweden. 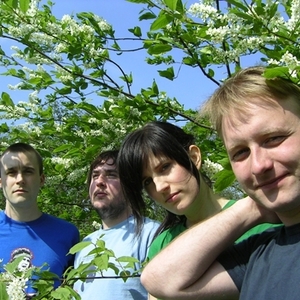 Jenny joined the band in 2001 and Odd left in 2002. Releases (except compilations, singles etc.) SILHOUETTES (2004) 5 YEARS LONG AND AS TALL AS A DREAM (2001) TOO COOL FOR SCHOOL E.P (2001) GREBO (1999) Currently working on material for a new album, some demos from that might pop up here on myspace soon, drop us a line if you have any Q's. Jenny joined the band in 2001 and Odd left in 2002. Currently working on material for a new album, some demos from that might pop up here on myspace soon, drop us a line if you have any Q's.